Family, friends, former teammates and colleagues are paying tribute to Jim Bunning. The former U.S. Senator, Congressman and baseball Hall-of-Famer died Friday night. He was 85. Bunning suffered a stroke in October at his home in Southgate, Kentucky. His son, David, tweeted about his father’s death late Saturday morning, Heaven got its No 1 starter today. Our lives & the nation are better off because of your love & dedication to family." By the time Jim Bunning decided to enter politics, he already had a distinguished baseball career behind him. Bunning pitched for four teams during his 17-year career, mainly for Detroit and Philadelphia. He’s still the only pitcher to throw no-hitters in both the National and American leagues. The second one, on Father’s Day of 1964, was a perfect game, as Bunning’s Phillies blanked the New York Mets. Bunning played baseball at a time when players’ salaries were not enough to make ends meet year-round, prompting him to find work in the financial sector during the off-season. It became a full-time pursuit when his baseball career ended in 1971, but it wasn’t long before Bunning, a Republican, began what would become an even longer political career. First, Bunning became a city councilman in his native Northern Kentucky town of Southgate, then he moved on to the Kentucky Senate. In 1986, Bunning was elected to the first of six terms representing Kentucky’s Fourth Congressional District on Capitol Hill. Then, with the retirement of U.S. Sen. Wendell Ford in 1998, Bunning pulled off the first of two narrow victories for that seat. In his Major League Baseball Hall of Fame induction speech in 1996, Bunning said baseball prepared him well for the rough-and-tumble world of politics. Bunning’s hard-nosed political style and fiscal conservatism combined to produce some showdowns with officials in the opposing party. He came under the glare of the national spotlight as the lone opponent of a measure that would extend unemployment benefits to millions of people, many of them left jobless by the Great Recession. Bunning wanted the extension paid for up front instead of adding to the national debt. His proposal was put up for a vote but was ultimately defeated. 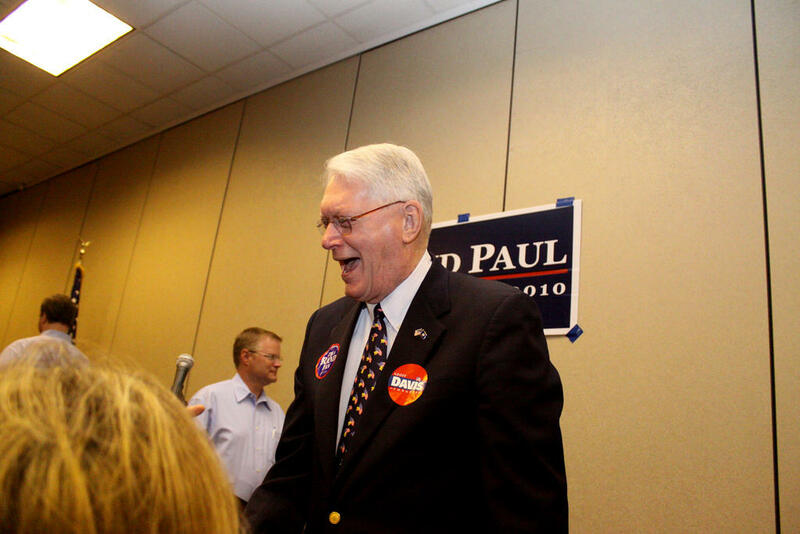 Faced with declining poll numbers and campaign fundraising struggles, Bunning announced in 2010 that he would not seek a third term in the Senate, and he threw his support to his eventual successor, Rand Paul. “Words cannot express my gratitude to the people of Kentucky for giving me the distinct honor of serving them for 12 years in the House of Representatives and 12 years in the U.S. Senate,” said Bunning in his farewell address on the Senate floor. Democratic U.S. Rep. John Yarmuth of Louisville also released a statement Saturday, saying he respected the late senator despite their political differences. “His absence will be felt in the years to come, but we are thankful for what he left behind: an incredible legacy of hard work, determination, and selflessness,” Bevin wrote. Rick Robinson, Bunning’s legislative director after he was first elected in 1986, said in an interview Saturday that his former boss held his staff to a high standard. Bunning’s survivors include his wife, Mary, their nine children and numerous grandchildren. Ryland Barton contributed reporting for this story.